2Stir water, butter, minced onion, parsley, salt, and thyme together in a saucepan; bring to a boil. Remove from heat and stir in milk. Mix in potato flakes, add sour cream, and beat until fluffy. 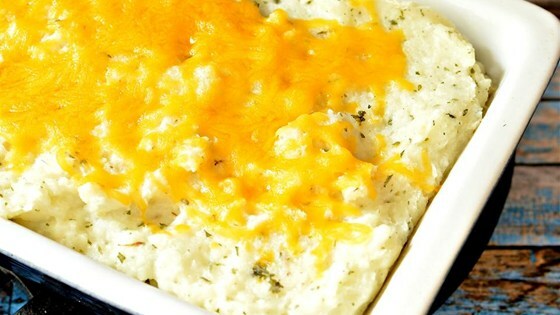 Pour potato mixture into a casserole dish and sprinkle Cheddar cheese over the top. 3Bake until cheese is melted and bubbling, 15 to 20 minutes.